Another Aquaberry Post Shared by World Organic News! Aquaberry Bliss’ Post Picked Up by World Organic News! 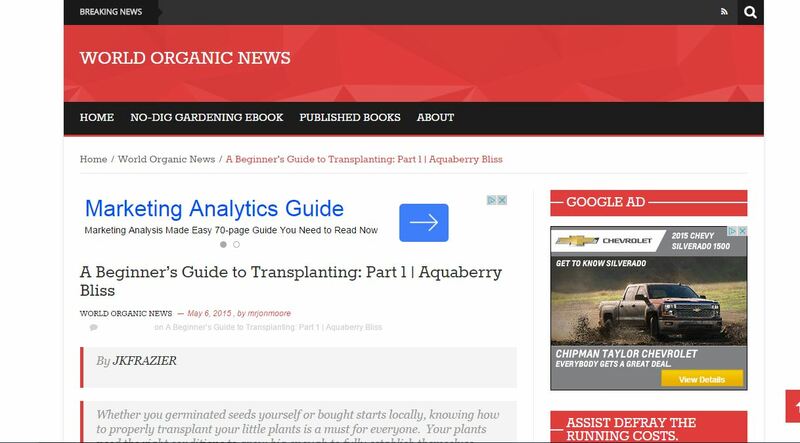 A great post on Aquaberry Bliss, A Beginners Guide to Transplanting Part 1, has been shared by World Organic News! 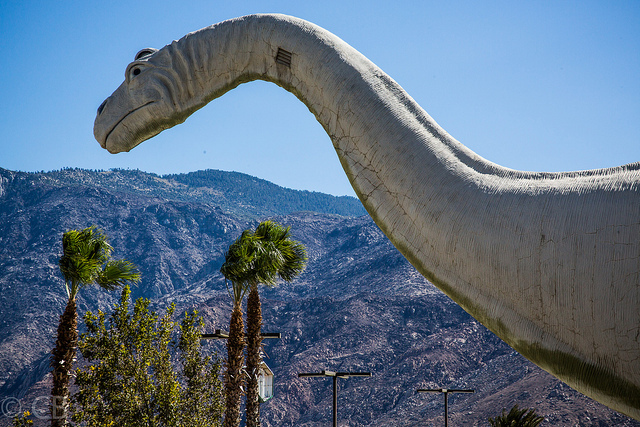 Anyone who knows me is aware that dinosaurs (namely the mighty brontosaurus) are my absolute favorite! Dinosaurs have always intrigued and charmed me, from the adorable ‘Littlefoot’ from The Land Before Time to scientific documentaries that re-created the beasts in their reptilian (and feathered!) nature, fighting on the plains and chewing prehistoric grass in the water. 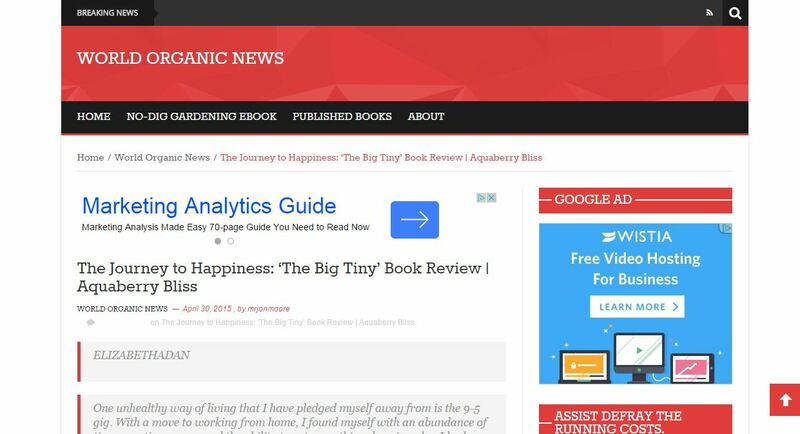 I recently reviewed a wonderful book by Dee Williams called The Big Tiny. I’m thrilled it was shared by World Organic News!